3. The prevalence of long spinal cord lesions and anti-aquaporin 4 antibodies in neuromyelitis optica patients in taiwan. Wang KC, Tsai CP, Lee CL, Chen SY, Chen SJ. Eur Neurol. 2011;65(2):99-104. 5. Tsai CP, Soong BW, Lin KP, Tu PH, Lin JL, Lee YC. FUS, TARDBP, and SOD1 mutations in a Taiwanese cohort with familial ALS. Neurobiol Aging. 2010 May 14. 6. The rescue effect of plasma exchange for neuromyelitis optica. Wang KC, Wang SJ, Lee CL, Chen SY, Tsai CP. J Clin Neurosci. 2011 Jan;18(1):43-6. 11. CP Tsai, CY Liu, KC Wang, WH Sheng, TZ Lee. Pharmacoeconomics of therapy for Guillain-Barre syndrome: Plasma exchange and intravenous immunoglobulin. Journal of Clinical Neuroscience 2007 Jul;14(7):625-9. 17. Tsai CP, Chiu MC, Yen DJ, Guo YC, Yuan CL, Lee TC: Quantitative assessment of efficacy of dysport (botulinum toxin type A) in the treatment of idiopathic blepharospasm and hemifacial spasm. Acta Neurol Taiwan. 2005 Jun;14(2):61-8. 20. Wang YJ. Tsai KY. Fuh JL. Tsai CP. Wang SJ. High frequency of primary Sjogrens syndrome in Taiwanese patients presenting as relapsing-remitting multiple sclerosis. European Neurology. 51(1):21-5, 2004. 21. Lee TC. Yuan CL. Wei CY. Tsao WL. Lee RJ. Cheih SY. Huang IT. Chen KT. Tsai CP. Encephalitis in Taiwan: a prospective hospital-based study. Japanese Journal of Infectious Diseases. 56(5-6):193-9, 2003 Oct-Dec.
23. Yuan CL. Tsou HK. Wang YJ. Tsai CP. Guillain-Barre syndrome: a retrospective, hospital-based study. Chung Hua i Hsueh Tsa Chih - Chinese Medical Journal. 65(11):540-7, 2002 Nov.
24. Tsai KY. Tsai CP. Liao N. Sjogrens syndrome with central nervous system involvement presenting as multiple sclerosis with failure response to beta-interferon. European Neurology. 45(1):59-60, 2001. 26. Yuan CL. Wang YJ. Tsai CP. Miller fisher syndrome: a hospital-based retrospective study. European Neurology. 44(2):79-85, 2000. 47. Wu ZA. Tsai CP. 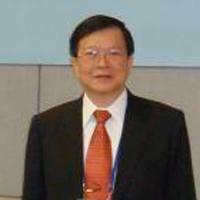 Yang DA. Chu FL. Chang T. Electrophysiologic study and computerized tomography in diagnosis of lumbosacral radiculopathy. Chung Hua i Hsueh Tsa Chih - Chinese Medical Journal. 39(2):119-25, 1987 Feb. 88327519.